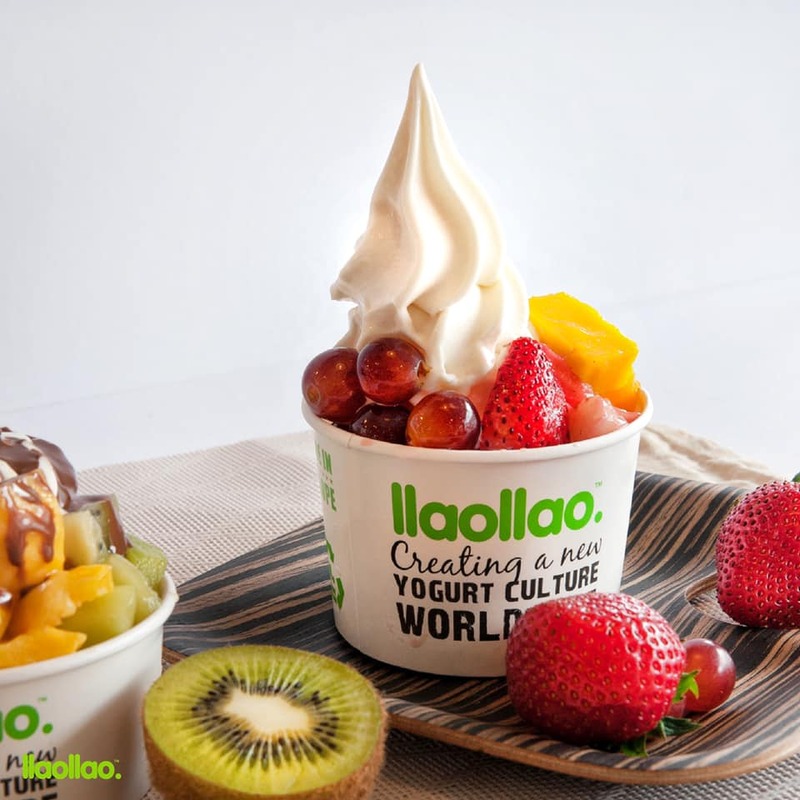 Home/Foodie Deals/llaollao Is Having Buy One Free One At The Gardens Mall! llaollao Is Having Buy One Free One At The Gardens Mall! It is time to treat yourself! It is going to be the end of another month. We know how hard you have been working for the entire month. What better way to treat yourself than getting something cold and happy? 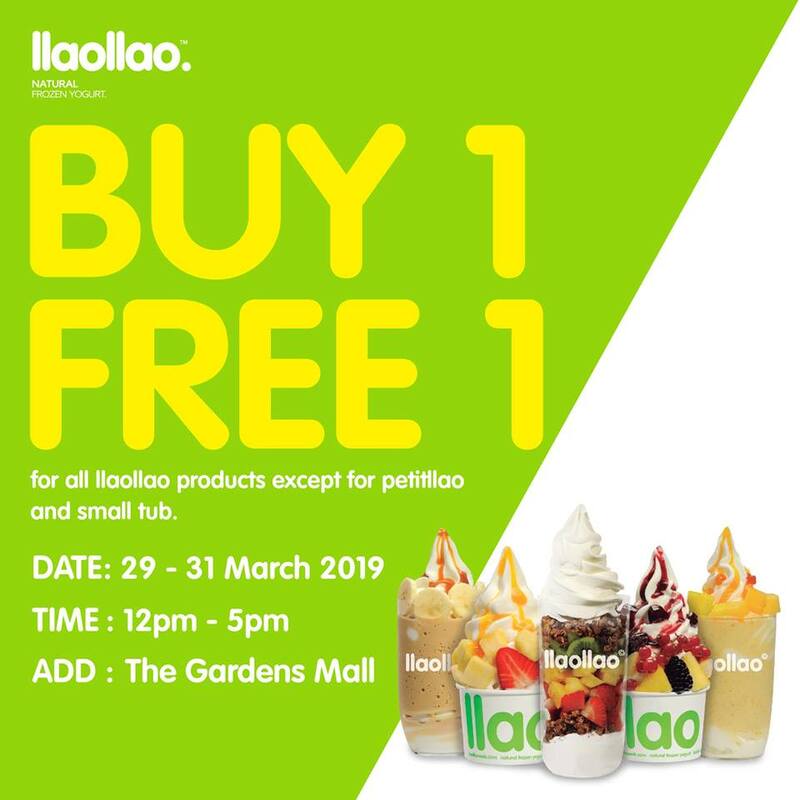 llaollao Is Having Buy One Free One At The Gardens Mall! That’s right, our favourite frozen yogurt franchise has just dropped the happiest news! Announced on llaollao’s Facebook yesterday, llaollao Is Having Buy One Free One At The Gardens Mall! Unfortunately, the buy one free one will only be happening at the outlet in The Gardens Mall only. The buy one free one offer will be happening from 29th to 31st March 2019 from 12:00 p.m. to 5:00 p.m. So, are you ready to queue? Naturally, there are terms and conditions with this promotion. But, these terms and conditions are not as bad as you think! Buy one free one is applicable for all llaollao products except for Petitllao and Small. Yup, Medium, Large, Sanum, and other products are good to order. Honestly, we are going for Sanum ’cause we love the mixture of different toppings! If you cannot make it to The Gardens Mall, not to worry! 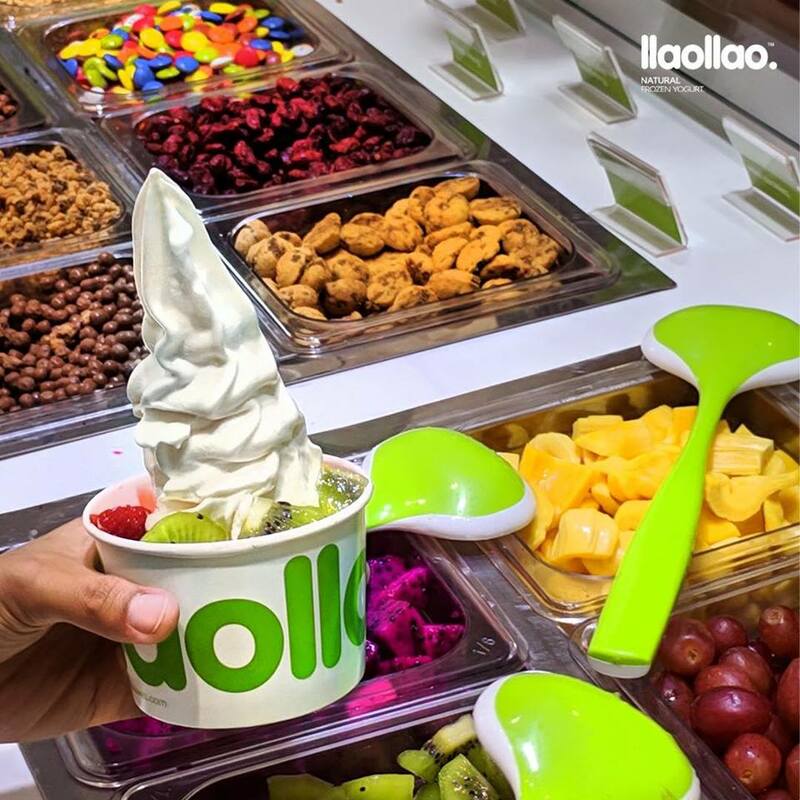 You can always get the usual discounts from llaollao on every Wednesdays. Depending on the week, you can get discounts ranging from 11% to 33%. The best time to attack llaollao is when it is 33%! So, are you going to The Gardens Mall tomorrow to end your month right? Tag your friends! It takes two for buy one free one! ⏰ 29th to 31st March 2019, 12:00 p.m. to 5:00 p.m.